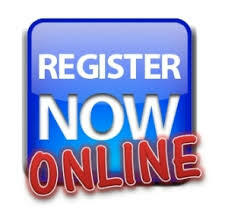 NEW RELIEF STAFF do not use this page - Use the New Registrations Tab. The following information is only for 2017/2018 Relief Staff, Re-Registering for 2019! 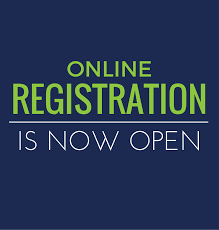 If you were a 2017/2018 Relief Staff Member, re-registering for 2019, simply login to your account at www.myrsm.com.au and complete Phase 1 of your Re-Registration. We are pleased to say that all our 2018 schools will continue using the Relief Staff Maestro in 2018. We have also added a few more CEWA Schools while also starting to service a few Ed Dept Schools (3 x South / 1 x North). You will be able to see the full list of schools after we verify your details and given you access to complete your registration. Apple (iOS) Phones – Software Version 10 or above. If you are currently using an older software version, you can try to update your phone to see if it’s compatible. Android Phones – Software Version 7 or above. If you are currently using an older software version, you can try to update your phone to see if it’s compatible. If they are not compatible, then you may have to look at upgrading your phone before using you App. Your re-registration prices will be based on which Plan you select. All file sizes must be under 1MB per file. All files must be in the correct file format (as listed). Page 1 – Personal Details: Ensure your profile picture is a clear facial picture and is uploaded in a jpeg format only. TRBWA – Is required by all Relief Teachers. WWCC – Is required by all Relief Staff. SCN Letter (Police Certificate) – is required by all Non-Teaching Relief Staff and Relief Teachers wanting to teach in an Ed Dept school. Failure to supply the current active documentation for these 3 items including the relevant dates, will result in delaying your activation. If you have a CEWA Payroll Number and/or Ed Dept E Number, then please include these. Page 3 – Selection: Update your Availability. You’ll be re-directed after you submit the Phase 1 Registration to PayPal. Make the above payment based on your selected Plan, either by credit card or PayPal. Once we receive your Phase 1 and PayPal payment confirmations, we will verify your account details, specifically the documents, numbers and expiry dates for your TRBWA Letter of Grant / WWCC (Teaching Relief Staff) or SCN Letter / WWCC (Non-Teaching Relief Staff). However, if your TRBWA (Teaching Staff), WWCC (All Staff) and/or SCN Letter (Non-Teaching Staff) have expired or are close to the expiry date, we will notify you via email, so you can provide us updated documents before we can grant you approval to complete Phase 2.